TRAVEL.org -SCOTLAND. Find hotels in Scotland, activities, and other tourism info. Smart City Hostels - Edinburgh - is a five star hostel in the heart of the Old Town of Edinburgh, Scotland that offers private and dorm style en-suite accommodation, 24 hour reception Wi-Fi and a licensed restaurant and bar. Let In Edinburgh - are an on-line self-catering and serviced apartments specialist offering accommodation in Edinburgh, Scotland. The George Hotel - With a prime location on the famous George Street, The George Hotel is one of the finest hotels in Scotland. Holiday Inn Edinburgh Hotel - Offers information about the hotel's rooms, restaurant and local Edinburgh attractions such as Edinburgh Zoo. Rooms in Edinburgh - Over 200 Hotels, Hostels and Guest Houses in Edinburgh available to book online. Edinburgh Marriott Hotel - Discover one of the finest hotels in Edinburgh today. The Edinburgh Marriott Hotel is conveniently located near Edinburgh Castle and other local attractions. Dalmahoy, A Marriott Hotel & Country Club - Located near Edinburgh Castle, Livingston Business Park and Murrayfield Stadium, our luxury hotel in Edinburgh offers a championship golf course and event venues. Hunterian Museum and Art Gallery, University of Glasgow. Visit Glasgow Scotland - City Government Tourism website. VisitScotland.com - Scotland's national tourism organisation site. The Grand Central Hotel - This hotel stands proud on Central Station in the hub of the Style Mile and is close to all major transport links including Glasgow Airport. Glasgow apartments from ReserveGlasgow.co.uk - Reserve Glasgow, part of the Reserve Network are an online self-catering apartments specialist who are constantly adding properties to their portfolio of serviced apartments in Glasgow, Scotland. Citizen M Hotel Glasgow - Trendy, boutique hotel located in the city centre of Glasgow, Scotland. Provides affordable accommodations, amenities, a bar and meeting space. The Glasgow Marriott Hotel - is a luxury 4 star hotel in Glasgow, conveniently located near the business and shopping districts, offering air-conditioned rooms, wireless Internet throughout the hotel and 12 conference rooms. Dickins: For your Edinburgh home from home - has a great selection of special hand-picked apartments and houses in central Edinburgh, Scotland from 3 nights up to 6 months. Bonawe House Cottages - Stay in one of the Self Catering Cottages within and around the vast private grounds of this beautiful 18th century Scottish country house in the village of Taynuilt near Oban. Apartments in Scotland - Directory for Self Catering apartments in Scotland with over 140 properties available to book online. Aberdeen Marriott Hotel - Discover one of the premier four-star luxury hotels in Aberdeen at Aberdeen Marriott Hotel. Our Aberdeen hotel's located in Dyce, Scotland, near area attractions, businesses and transportation. North Umbrian Cottages - Northumberland Cottages offer some of the best Cottages in Northumberland for your self catering holiday in Northumbria and the Scottish borders. 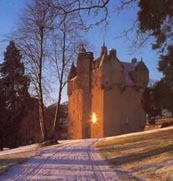 Holiday Cottages Scotland - Holiday Cottages Across all of Scotland. Rooms In Inverness - Travel and Accommodation website for Inverness in Scotland with Hotel and Hostels available online. Star Stay - Hotels in UK: Hotels in England, Hotels in Scotland and Hotels in Wales. Airport Hotel Shop - Compare and book airport hotels at all major UK airports including Aberdeen, Glasgow, Edinburgh, Gatwick and Heathrow. Unique Cottages - Traditional holiday cottage accommodation all over Scotland in beautiful locations.